Looking for something fun for the kids to do? Maybe something for the “kid in you”, too? You”ll take home a really cool memory and a unique piece of art made from recycled materials when you come to an Upcycled Art class. 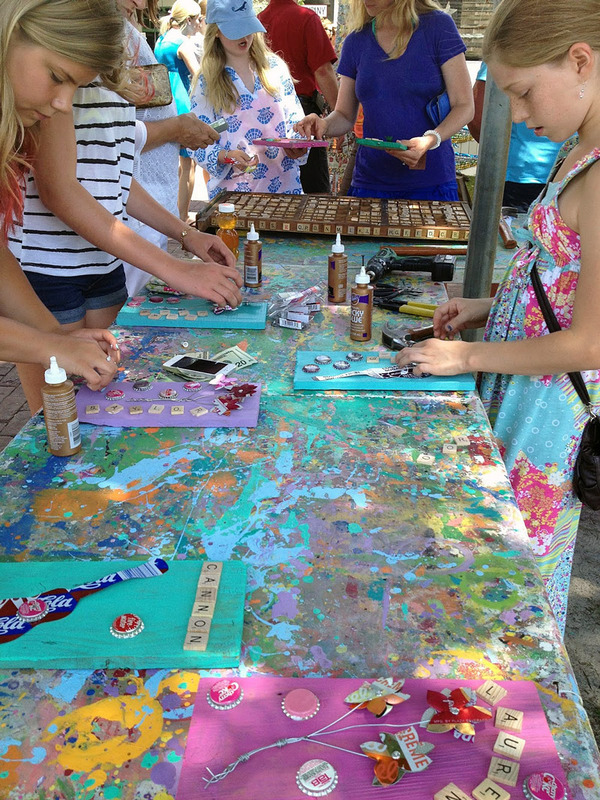 The Moore Family Folk Art Team will help you create art using reclaimed wood, vintage cans, bottle caps and more. Our super creative teachers love showing you how to make cool new art out of old stuff! Alan Moore is an artist (and engineer) whose folk art has evolved from painted work to almost paint-less work, using a variety of salvaged materials: 100 year old pianos, roof metals, vintage bottle caps, steel soda cans, river-sunk driftwoods, antiques, farm equipment, and so much more. Alan’s children are also involved in his art world. The Moore’s strive to promote family-based creativity and environmental stewardship through art classes, exhibits, festivals, and speaking engagements. During spring and summer, Upcycled Art classes are held most Wednesdays and fee is only $25 per art piece (approximate size 9″x12″). Rain or shine, we’ll be making cool art! For Upcycled Art Class dates, visit us on Facebook.